Selling your classic automobile or collector car: for some, it’s a joyous occasion. For others, it’s an emotional parting. Let Bramhall Classic Autos ease the selling process for you. 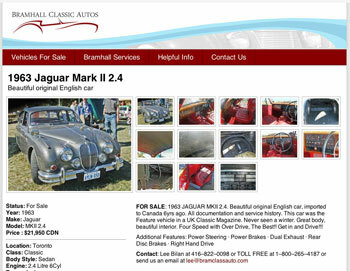 Bramhall Classic Autos offers free listings to sell your classic automobile. Contact us right away to list your vehicle. Bramhall Classic Autos has the professional expertise to successfully sell estate car collections and handle the details regarding estate disposal. Read more about our estate disposal services.